Home / Medical Cannabis Guide / Hemp vs. Marijuana vs. Cannabis: What’s the difference? Hemp vs. Marijuana vs. Cannabis: What’s the difference? In today’s world, there is little that causes more dissent among the ranks of populations everywhere than religion, politics and the legalization of marijuana. But, in a world where everything that falls under the label of “cannabis” is seemingly mistakenly deemed a psychotropic drug, wherein lies hemp? The three terms – cannabis, hemp and marijuana – are often used interchangeably to significant error. For the purpose of this article, we will focus on the latter two on that list (hemp and marijuana). The genus taxonomy is of particular import for botanical nomenclature, as it is the generic name or epithet and is the first part of the name of the species and lower taxa. It is always capitalized and followed by the specific name, i.e. “Cannabis sativa.” Other strains are Cannabis indica and Cannabis ruderalis. Most medical marijuana is a hybrid of sativa and indica, thus why the species of Cannabis sativa X indica is often seen. The definitions of what is classified as marijuana, cannabis or hemp are quite clear – at least according to the codes of the United States. 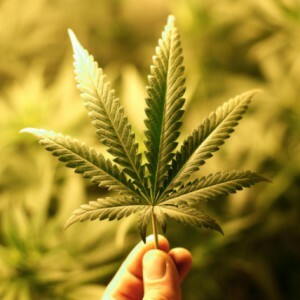 Under U.S. law, cannabis is the plant itself, and hemp and marijuana are specific parts of the plant. Hemp refers to the sterilized seeds, stems, stalks and roots. 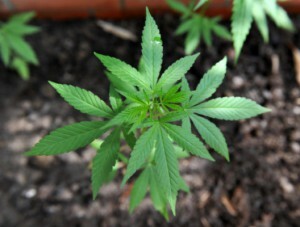 Marijuana is in reference to the viable seeds, leaves and flowers. While this is the easiest way to explain it, research has shown that the differentiation between hemp and marijuana goes much deeper, and their traditional names are not necessarily indicative of the true genetic makeup of these plants. Through trait-mapping and genotyping, researchers have found the differences extend far beyond the genes involved in the production of THC. Unfortunately, marijuana has come to be the all-in-one term for the cannabis plant and all of its useful parts. When one refers to marijuana or any of its other common names or derivatives (Mary Jane, pot, hash, hashish, whacky-tobacky, etc.) they are referring to the leaves and flowering portions of the plant that contain many cannabinoids, which have both mental and physical effects on the human body when ingested. Marijuana with these effects is produced on cannabis plants with greater than 0.3 percent tetrahydrocannabinol (THC), which is the principal psychoactive portion of the plant. Some strains can go up to as much as 20 percent. Concentrations of THC are largely dependent on how it is ingested as well. The average for marijuana is 1-5 percent, 5-10 percent for hashish and 20 percent for hashish oil. The recreational use of the cannabis plant to produce a “high” has overshadowed the myriad of industries that hemp is viable for, and this is precisely how and why the plant has and continues to receive such bad press. Hemp comes from cannabis plants with less than 0.3 percent THC. The petrochemical and textile industries realized they had a lot to lose monetarily if hemp came into widespread production, and thus the corporate elite set into motion a literal smokescreen of lies to bulldoze the public opinion into outlawing this productive plant in its entirety by including it in the Uniform Narcotic Drug Act in 1932. Hemp is indigenous to Central Asia, and the cultivation of the crop for fiber can be traced back as far as 2800 BCE in Ancient China. Modern researchers have determined what ancient civilizations already knew – that hemp fiber is durable and extremely strong. Under heavy scrutiny, they found that although a myriad of factors affects the tensile strength of hemp, single fibers obey Hooke’s law – which refers to the elastic behavior of solids in direct proportion to an applied force. It is for this reason that industrial hemp fiber is viable for many uses, including artificial sponges, burlap, cable, canvas, linens and clothing, paper, rope, twine, string and yarn. Moreover, its roots and seeds produce oil that can be used for medicinal purposes, hold nutritional value for human consumption, and can be used in the production of paints, varnishes and soaps. The cannabis plant can offer so much to the world in its varying forms. If the laws and industry allow, soon we may find it in some form or another in our everyday life, from the paper we write on and the clothes we wear to how we heal ourselves from illness and disease.